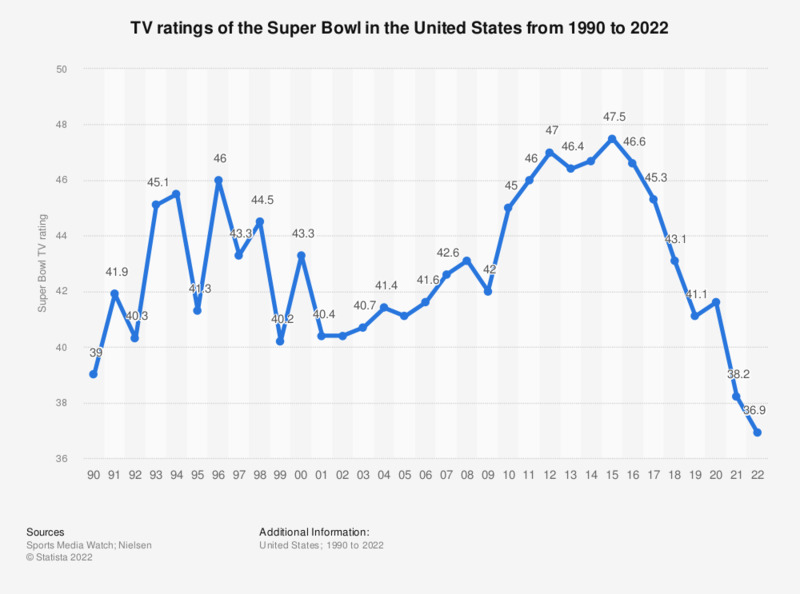 The statistic shows the TV ratings of the Super Bowl in the United States from 1990 to 2019. Super Bowl XLV (Pittsburgh Steelers vs. Green Bay Packers), broadcast by FOX, had a rating of 46.0. The Pittsburgh Steelers have the most Super Bowl wins of all NFL teams. Which kind of products do you associate with your favorite player? How do you intend to watch the Super Bowl ads? In general, on days when you do moderate physical activity, how much time do you usually spend at it?